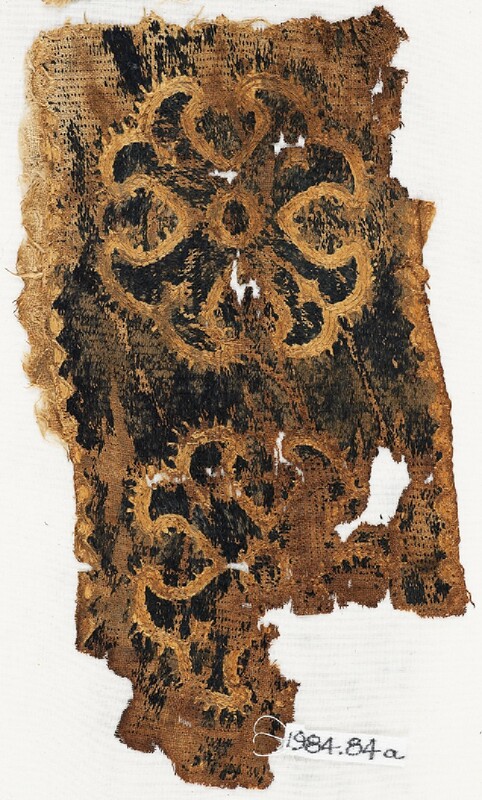 A band filled entirely with embroidery shows blue Maltese crosses with yellow outlines, against a blue background. The band has a zigzag border in yellow. The slanted counted filling stitches are worked in diagonal rows. The radiocarbon analysis provided a date of 1225 AD +/- 37.